Patrick Fraracci (Principal Trumpet) is originally from Brooklyn, New York. His family moved to Selden, Long Island NY when he was 7 years old. Patrick began private trumpet lessons at the age of 10. By age 16 he was playing professionally with local jazz and commercial groups on Long Island. At the same time he was asked to play with the Stony Brook University Wind Ensemble as well as a local big band comprised of music teachers and older professionals. He kept up his classical studies but also started getting acquainted with the style and feel of swing. In his senior year in high school, he won the alternate lead trumpet chair for the 1973 New York Allstate Stage Band conducted by Chuck Mangione. Patrick began his college career attending Queens College for one year where he studied with Gerard Schwartz. Transferring back out to Long Island, he finished his last three years at State University of New York at Stony Brook. During this time he studied orchestral trumpet with Ronald Anderson of the New York Metropolitan Ballet, graduating from Stony Brook University in 1977 with a B.A. in music performance. 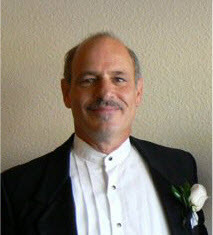 In addition to performing with the Folsom Lake Symphony, Mr. Fraracci substitutes for the Stockton Symphony. During the high holidays, he also performs with the fine church orchestras and choirs of Lodi and Stockton, as well as occasional concerts with UOP, Delta College, and the Valley Concert Band. His favorite venue is being in a pit orchestra for a musical show. He currently resides in Lodi, California. Some of the artists that Mr. Fraracci has worked with include: Bobby Shew, Art Farmer, Bill Watrous, Arturo Sandoval, Alexandra Schenck, Natsuki Fukasawa, Jack Sheldon, Chris Riddle, Kaye Starr, Lorna Luft, and Victor Vanacore.